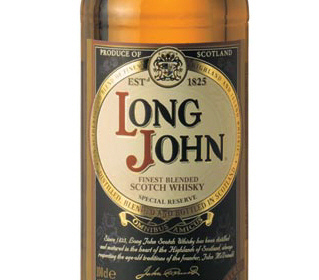 Produced at the Tormore Distillery Long John Blended Scotch Whisky dates back to 1825 and is a particular favourite in France. The blend contains 48 malts which include Laphroaig and Highland Park. It is smooth and dark with a strong hint of smoke.